Jellyfish is the hottest new spot in Montreal. 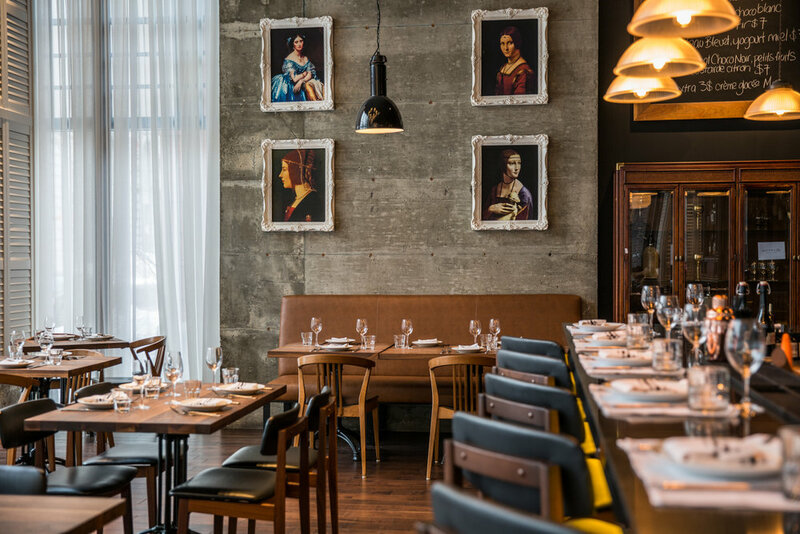 Locals, tourists and those in between should be thankful for its most recent entrance into the Old Montreal foodie scene. If you haven't had a chance to try it yet, I suggest you do so immediately, because I promise you, everyone will be talking Jellyfish. This restaurant is the perfect combination of "grab a drink at the bar" and "gastronomic perfection", both two of my favourite things. With an outstanding cocktail menu, center bar, high ceilings, a delicious cooked and raw selection, and wonderful staff you cannot argue with it easily being one of the best “package deals” in the city. One of the best parts about spending the evening is that you easily feel as if you’re in New York or Chicago. The music is perfect and allows diners to chat while cocktail sippers can still enjoy the vibe. This was no mistake, as owner Francis Rodrigue explained that they made sure to install sound panels to limit any echo or sound issues due to the levels and height in the design. Try and grab a spot in the back, with the elevated wood floors, you not only have a view out the floor to ceiling wrap around windows, but you can watch the hustle and bustle of the center bar and those around. The chef of this spot is no newbie on the scene, but at only 25 has years of experience and competing under his belt. Chef Mathieu Duceppe shared that when he was younger he was lost in a few bad habits, from drugs to dropping out of school, until finally he found himself in the kitchen. He devoted hours and passion to cooking, and years later (and younger than almost any head chef of a top restaurant) he is killing it one scallop ceviche dish at a time. His secret? He likes to mix the best of different cultures and test out their success, like Japanese and Italian, or French and Greek. The culture clash, and combo of all of the best really set the dish and taste buds apart. My favourite, the roasted carrot dish, with ricotta, mushroom and truffle oil. But make sure to leave room for dessert, trust me. Their dessert menu ranges from things like ginger chilly chocolate pie to chocolate and homemade custard filled croissants.